No, say Elaine Brett, Alexis Halbert, and roughly twenty other people involved in the refreshing new approach to community planning called Heart & Soul. “This is a process of going to people and getting them to express and get invested in the things that they value most,” explains Brett. 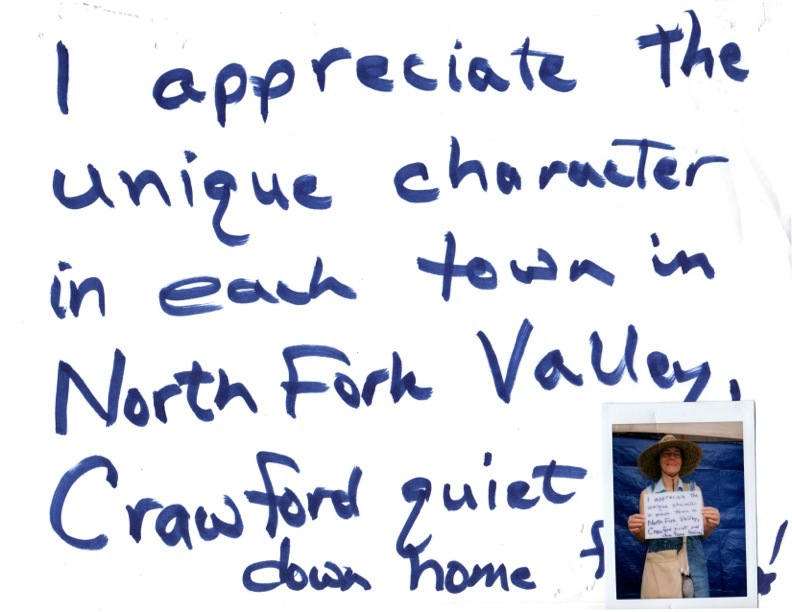 The effort includes a core Project Team, whose five members meet monthly with a Community Advisory Team of 15-18 people including farmers, coal miners, artists, business owners, town government representatives, and just plain folks like the housewife homeschooling her kids. 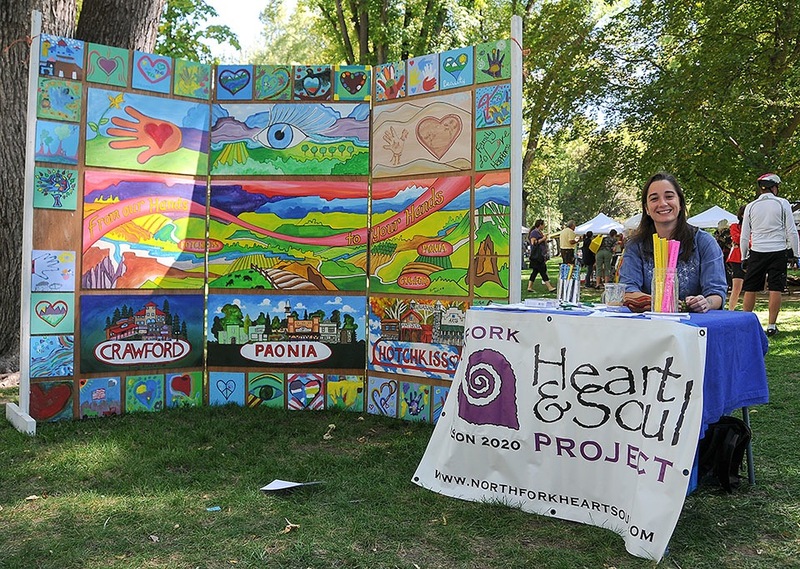 The success of Orton Heart & Soul grants to four small towns in the country two years ago suggests that this approach works. This year the North Fork Valley is one of five communities selected to participate, including Cortez, Colorado, two towns in New England and one in Montana. Without thoughtful planning, she says, development can get completely away from what’s important to a community. She offers the dire example of some Colorado casino towns, whose residents and decision makers wanted economic development, and “they let somebody come in, they put a casino in, and the next thing they knew their property taxes were so high they couldn’t afford to live in their own home towns. So they didn’t really get what they wished for …” she trails off. The group took what they heard there and went to other town and chamber meetings, asking people to put more details into five areas for economic development that had come out of the initial discussions. Those areas people agreed could be economic drivers were: energy, agriculture, tourism and recreation, creative arts, and health and wellness. 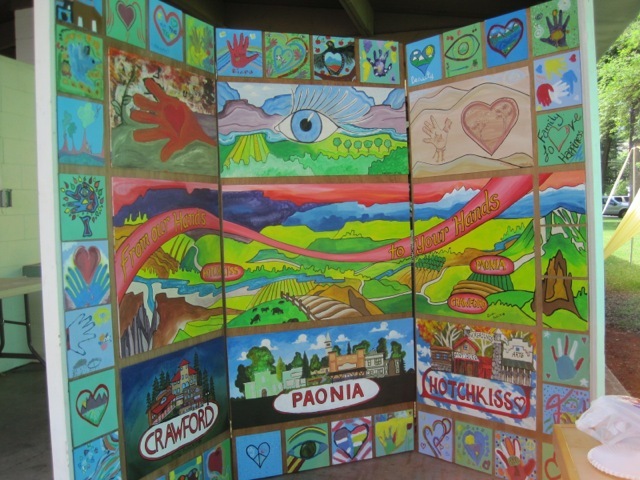 “We said ‘Now what are we going to do?’ Right about that time a grant opportunity came up.” Elaine explains that the fortuitous connection between this group of concerned visionaries and the Orton Family Foundation came about through the Kids’ Pasta Project. 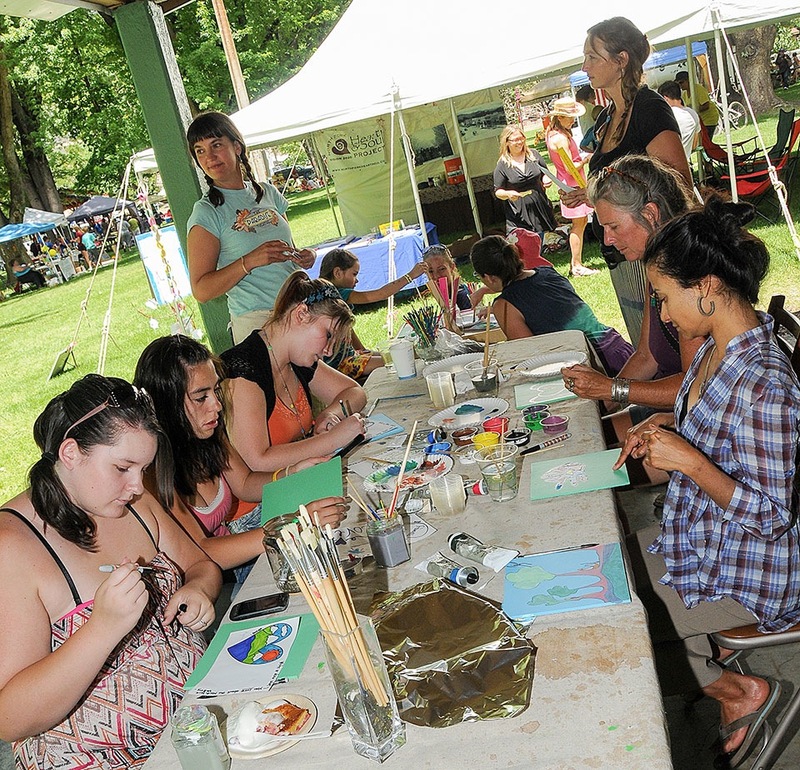 KPP is another remarkable community endeavor that has raised more than $43,000 for community organizations and causes since its inception in April, 2009. “The KPP had won a photo contest,” says Elaine, “and that’s when we heard of this Foundation.” The Heart & Soul hopefuls submitted an application to Orton early in 2011; in the next months, the Valley was selected as a semi-finalist, Foundation members made a site visit, and the group learned last December that the North Fork had been selected to participate. As it happened, the diverse community of the valley stood united against the threat of imminent industrialization, and succeeded in persuading the BLM to withdraw all leases until further, and thorough, analysis of impacts could be conducted. People across political and economic spectra came together in a big way last winter to agree on some things they value about where they live. Heart & Soul collects stories through several avenues. 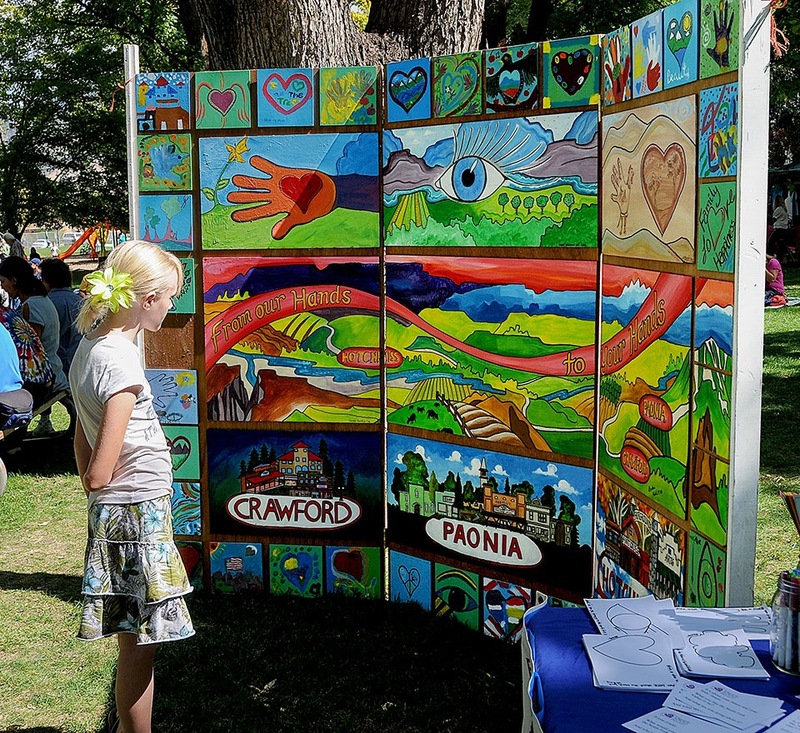 Since early summer they’ve been showing up at fairs and festivals including Paonia’s Cherry Days, Pioneer Days in Crawford, the Delta County Fair in Hotchkiss, Harvest Festival, and the Liberty Festival. 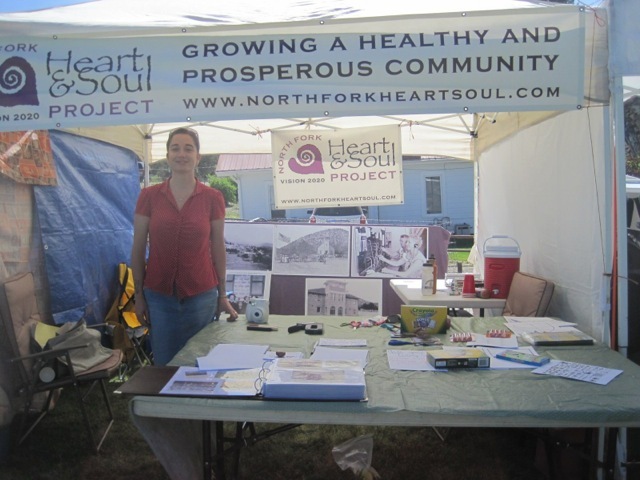 To find out more about North Fork Heart & Soul and upcoming events, or to get “your piece of the pie,” to offer your observations and values, or find out more about the process for your own community, you can visit their website, www.northforkheartsoul.com, or email nfheartsoul@gmail.com.